High Court of Jharkhand had set aside the CrPC 239 dismissal and remitted back the case to lower court to to pass a fresh order in accordance with law on the application filed by the petitioner. It has further been alleged that the previous husband of the informant had died in Kashmir and she had been paid an amount of Rs. 10,00,000/- which amount the petitioner wanted. It has also beenalleged that the informant had given Hero Honda motorcycle, Rs. 2.5 lacks in cash and money for construction of the boundary wall. In addition to the weird instant complaint filed in 2006 as Kotwali (S.N.) P. S. Case No. 336 of 2006, which attracted IPC 498A, the knife had earlier on the same set of facts, another case was instituted by the informant in 2004 as Kotwali (S.N.) P. S. Case No. 209 of 2004. It is the exact same PS two complaints were filed, on same set of facts and the first time it was registered as IPC 498A case, and the second time it attracted IPC 498A as well as IPC 494!! When the order taking cognizance dated 27.06.2007 was challenged by the petitioner, the Court is its infinite wisdom, has quashed only IPC 498A in the second case, as it justified the IPC 498A was already there in the first case!!! 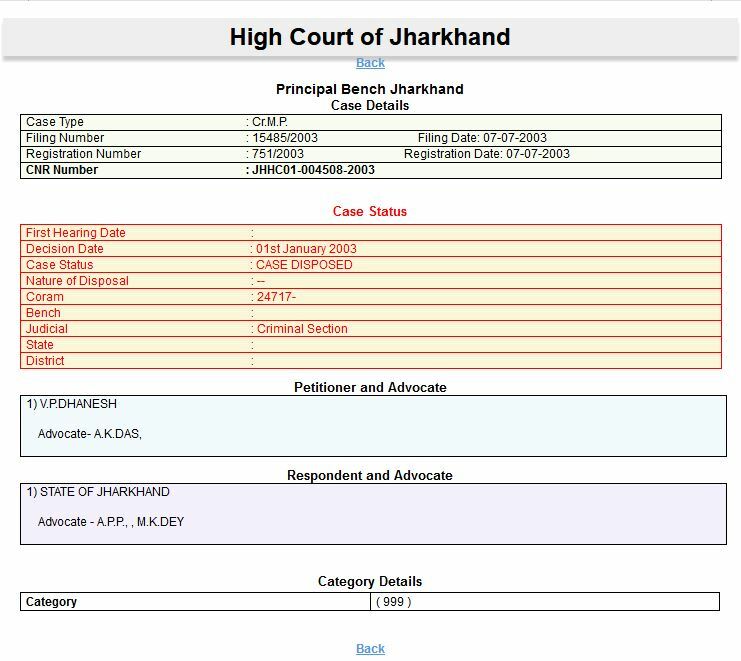 In this judgment, Hon’ble High Court of Jharkhand held that Dowry demand allegation after a considerable amount of time after marriage is not maintainable for the simple reason that they do not remain as bride and bridegroom as mentioned in the Dowry Prohibition Act. Here is the case details from ecourts site.